Justice Sandra Day O’Connor, the first woman to sit on the U.S. Supreme Court, announced Tuesday that she has been diagnosed with a degenerative mental disability and will withdraw from public life. The 88-year-old served on the high court from 1981 to 2006. In a separate statement, Chief Justice John Roberts called her a towering figure in the history of the country and for all those committed to equal justice under law. O’Connor has kept a vigorous public schedule since leaving the high court 12 years ago. She lectured in law schools and other public forums, wrote books and supported philanthropic efforts promoting civic engagement. Unlike many of her colleagues, O’Connor was not drawn from well-connected coastal circles or the rarefied air of elite legal practice. She was born in El Paso, Texas, and grew up on a cattle ranch near Duncan, Arizona, called the Lazy B. Though she graduated third in her class from Stanford Law School — where she briefly dated Chief Justice William Rehnquist, her future colleague — she was forced to take an unpaid position in a local prosecutor’s office due to the prevailing bias of the day. In other instances, she voted to strike down campaign finance regulations, restrict the use of affirmative action, limit school prayer, and protect public religious displays. 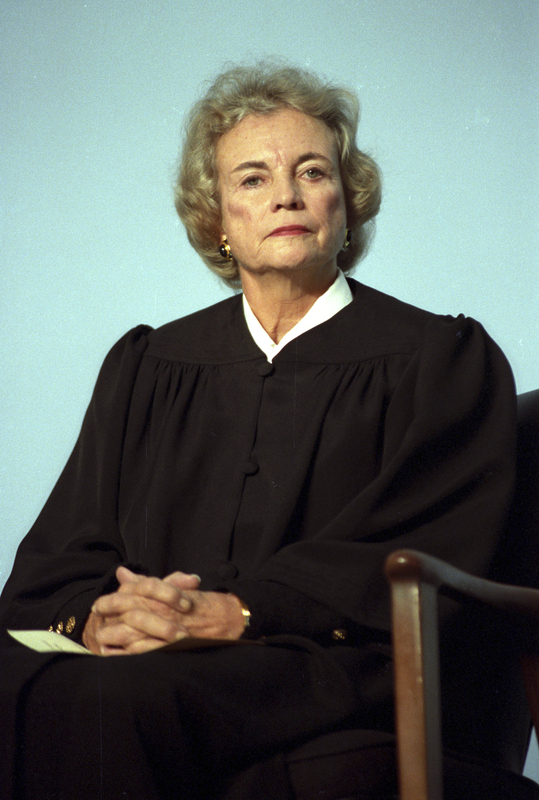 Whatever her legal views, O’Connor was seen as a Republican loyalist — she was heard to lament former Vice President Al Gore’s possible victory in November 2000 at an election night cocktail party in Washington, putting a partisan gloss on her vote for President George W. Bush in the Bush v. Gore decision just weeks later. She later expressed misgivings about the Court’s involvement in the dispute. Justice Samuel Alito succeeded O’Connor on the Supreme Court in January 2006. She left the bench to tend to her husband, John Jay O’Connor III, who was also diagnosed with Alzheimer’s. In her Tuesday letter, O’Connor expressed gratitude for the opportunities the country afforded her.